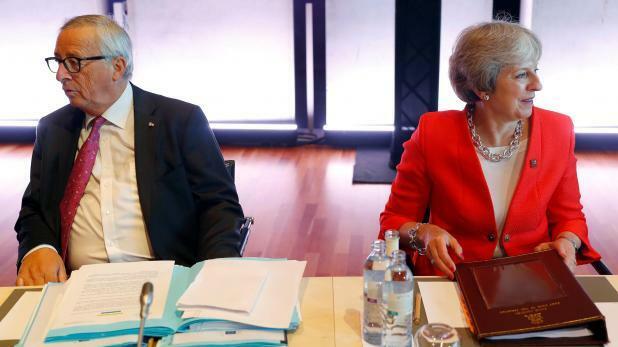 Jean-Claude Juncker and Theresa May. May's Foreign Minister Jeremy Hunt called the EU court ruling "irrelevant" because Britain will leave no matter what, when scheduled on March 29. To do otherwise would disrespect the majority that voted to leave, he said. In the June 23, 2016 referendum, 17.4 million voters, or 52 percent, backed Brexit while 16.1 million, or 48 percent, backed staying. 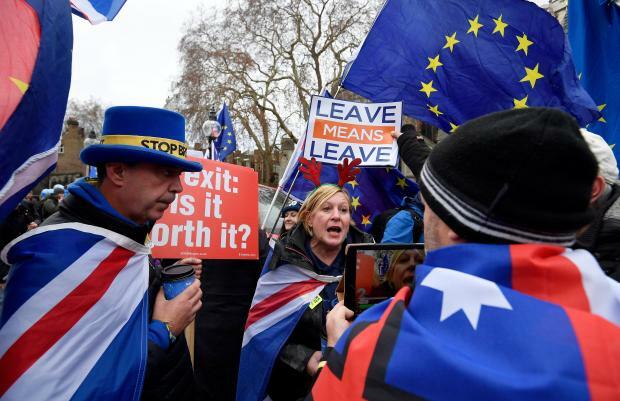 More than two years since the 2016 vote, the United Kingdom remains divided on how or even whether it should leave the club it first joined in 1973. Polls show few voters have changed their minds, despite warnings of economic turmoil. Both May's ruling Conservatives and the main opposition Labour Party are publicly committed to carrying out Brexit. A no-deal Brexit, though, is seen as so disruptive that parliament would be under strong pressure to block it. A growing number of backbench members of parliament say the only solution would be a new referendum, an option backed by three of the four living former prime ministers, but strongly opposed by the government. Michael Gove, the most prominent Brexit campaigner in the British government, said the court ruling "doesn't alter either the referendum vote or the clear intention of the government to leave on March 29". "We don't want to stay in the EU," Gove, who serves as environment minister, told BBC radio. Pro and anti-Brexit protesters argue opposite the Houses of Parliament in London.